Which shirt is right for me? Sometimes it can be difficult to order a shirt that you’ve never seen or worn before, but fear not! We’ll help you choose the best shirt for your order. When choosing a shirt, there are two main elements to consider – Material and Style. 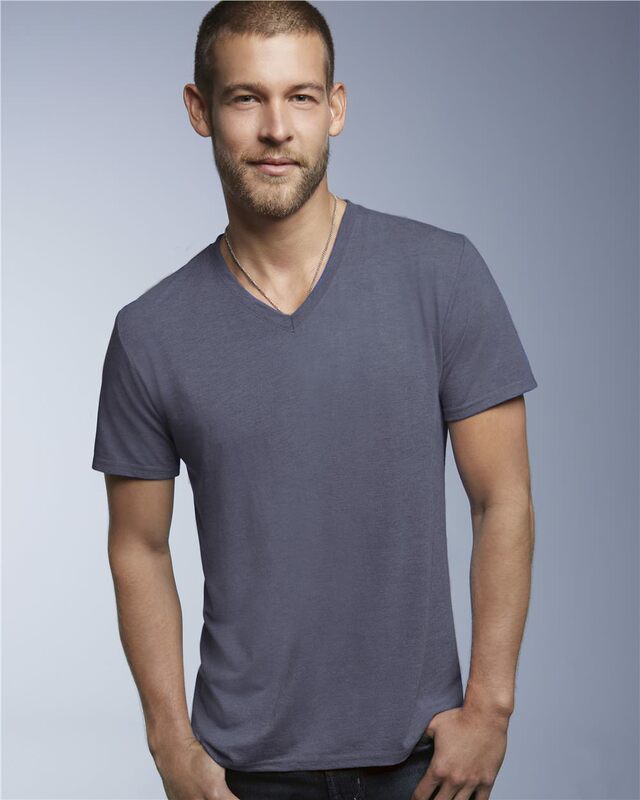 Comfort and durability are the factors most people are looking for when purchasing shirts. Cotton is the predominate material that is used in most garments, and can be combined with other types of material to create a different feel. Preshrunk 100% shirts come in various weights from 5 oz to 6.5 oz, and are considered “Heavyweight” shirts because of the type of cotton that is used. Polyester is the second most common material used in most garments, and can be combined with cotton and other materials to create a unique feel and give certain performance properties. 100% polyester is great at keeping you cool and is often marketed as ‘moisture wicking’. This makes it great for athletic jerseys or sportswear. Polyester has a slick feel to it, rather than a slightly textured feel of a regular cotton shirt. A favorite we often order is the New Balance N7118. It’s 100% polyester, with a slight mesh texture that is not as slick as a regular polyester shirt. Combining cotton and polyester makes a great choice for most garment needs. 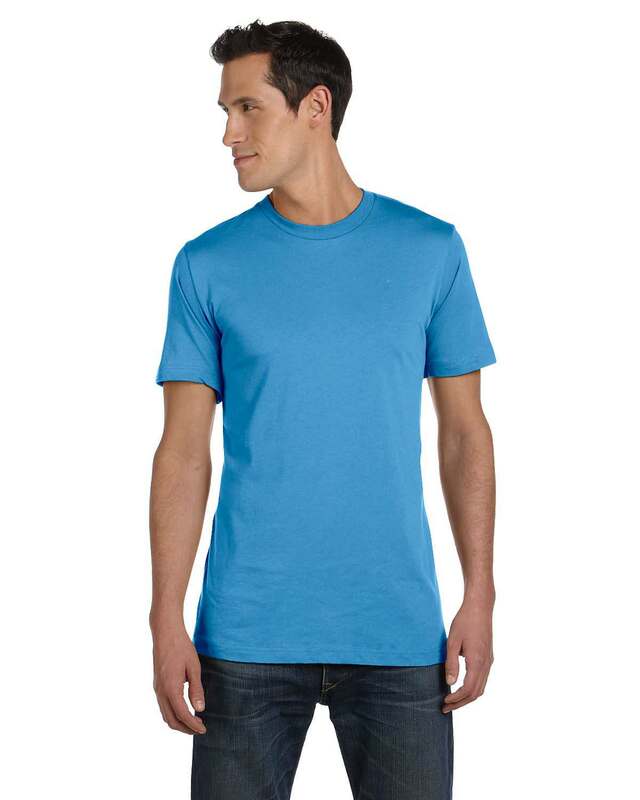 A 50/50 blend (Gildan 8000) is the most common shirt requested and strikes a great balance for comfort and durability. There are many blend ratios that make for very comfortable shirts by using a high quality ringspun and/or combed cotton combined with polyester. 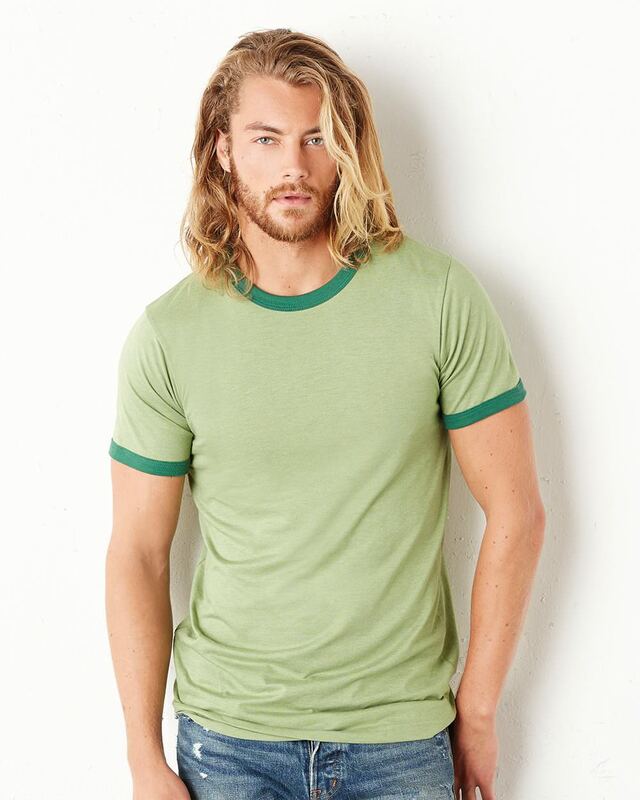 Ringspun cotton is achieved through a special twisting and thinning process that creates a noticeably softer feel. Our most popular ringspun blend is the Bella+Canvas 3001. The other major consideration when choosing a garment is style. There are many differing styles offered by different brands, but here are the most common styles that are ordered.